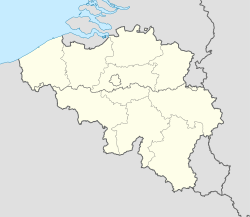 The Land Component (Dutch: Landcomponent, French: Composante terre) is the land branch of the Belgian Armed Forces. The current chief of staff of the Land Component is Major-General Marc Thys. For a detailed history of the Belgian Army from 1830 to post 1945 see Belgian Armed Forces. Ranks in use by the Belgian Army are listed at Belgian military ranks. A major reorganisation of the army had been authorised by the government in 1912, providing for a total army of 350,000 men by 1926 - 150,000 in the field forces, 130,000 in fortress garrisons and 70,000 reserves and auxiliaries. At the outbreak of war this reorganisation was nowhere near complete and only 117,000 men could be mobilised for the field forces, with the other branches equally deficient. The Commander-in-Chief was King Albert I, with Lieutenant-General Chevalier Antonin de Selliers de Moranville as the Chief of the General Staff from 25 May 1914 until 6 September 1914 when a Royal Decree abolished the function of Chief of Staff of the army. In this way the King secured his control of the command. 1st Division (Lieutenant-General Baix) - around Ghent. 2nd Division (Lieutenant-General Dassin) - Antwerp. 3rd Division (Lieutenant-General Leman) - around Liège. 4th Division (Lieutenant-General Michel) - Namur and Charleroi. 5th Division (Lieutenant-General Ruwet) - around Mons. 6th Division (Lieutenant-General Albert Lantonnois van Rode) - Brussels. Cavalry Division (Lieutenant-General de Witte) - Brussels. In addition, there were garrisons at Antwerp, Liège and Namur, each placed under the command of the local divisional commander. Each division contained three mixed brigades (of two infantry regiments and one artillery regiment), one cavalry regiment, and one artillery regiment, as well as various support units. Each infantry regiment contained three battalions, with one regiment in each brigade having a machine-gun company of six guns. An artillery regiment had three batteries of four guns. The nominal strength of a division varied from 25,500 to 32,000 all ranks, with a total strength of eighteen infantry battalions, a cavalry regiment, eighteen machine-guns, and forty-eight guns. Two divisions (the 2nd and 6th) each had an additional artillery regiment, for a total of sixty guns. The Cavalry Division had two brigades of two regiments each, three horse artillery batteries, and a cyclist battalion, along with support units; it had a total strength of 4,500 all ranks with 12 guns, and was - in effect - little more than a reinforced brigade. Each Army Corps had its own headquarters staff, two active and several reserve Infantry Divisions, Corps Artillery Regiment of four battalions of two batteries with 16 artillery pieces per battalion, and a Pioneer regiment. Each infantry divisions had a divisional staff along with three infantry regiments, each of 3,000 men. Each regiment had 108 light machine guns, 52 heavy machine guns, nine heavy mortars or infantry gun howitzers, plus six antitank guns. Within the Free Belgian Forces that were formed in Great Britain during the occupation of Belgium between 1940–45, there was a land force formation, the 1st Belgian Infantry Brigade. An additional three divisions were raised and trained in Northern Ireland, but the war ended before they could see action. However, they joined the initial Belgian occupation force in Germany, I Belgian Corps, whose headquarters moved to Luedenscheid in October 1946. Of the 75,000 troops that found themselves in Germany on 8 May 1945, the vast majority had been recruited after the liberation of Belgium. After the end of the Cold War, forces were reduced. Initial planning in 1991 called for a Belgian-led corps with 2 or 4 Belgian brigades, a German brigade, and possibly a U.S. brigade. However, by 1992 this plan was looking unlikely and in 1993 a single Belgian division with two brigades became part of the Eurocorps. The Land Component is organised using the concept of capacities, whereby units are gathered together according to their function and material. Within this framework, there are five capacities: command, combat, support, services and training. The command capacity groups the following levels of command: COMOPSLAND (Operational Command of the Land Component), Motorized Brigade at Leopoldsburg (formed from the 1st Mechanised Brigade in 2011) and Light Brigade (formerly the 7th Mechanised Brigade) at Marche-en-Famenne. The combat capacity comprises the main fighting units of the Land Component. It consists of two Para-Commando battalions, the Special Forces Group and five infantry battalions. The support capacity comprises one reconnaissance battalion, a civilian-military cooperation and operational communication battalion, one artillery battalion and two engineer battalions. The service capacity comprises three communication and information systems (CIS) groups, three logistics battalions, the Military Police Group and the Military Detachment at the Palace of the Nation, the Explosive Ordnance Disposal (known as DOVO in Dutch and SEDEE in French, the Movement Control Group and the training centres and camps. The training capacity comprises four departments: the Training Department Infantry at Arlon, the Training Department Armour-Cavalry at Leopoldsburg, the Training Department Artillery at Brasschaat and the Training Department Engineers at Namur. Some of the regiments in the Land Component, such as the Regiment 12th of the Line Prince Leopold - 13th of the Line, have names consisting of multiple elements. This is the result of a series of amalgamations which took place over the years. The Regiment 12th of the Line Prince Leopold - 13th of the Line was created in 1993 as a result of the merger of the 12th Regiment of the Line Prince Leopold and the 13th Regiment of the Line. Browning GP 9×19mm Belgium Standard issue firearm, being phased out in favour of the FN Five-seven. FN Five-seven mk2 5.7×28 mm Belgium Formerly issued to pilots and SFG members, now entering service as the standard issue sidearm. FN Uzi 9×19mm Israel Belgium Made under license by FN Herstal, used as a personal defence weapon for Special Forces, Navy and Medical personnel. FN P90 5.7×28 mm Belgium Personal defence weapon used by selected troops, including special forces. FN FNC 5.56×45mm Belgium Service rifle, To be replaced with SCAR-L.
FN F2000 5.56×45mm Belgium Used by special forces, and elsewhere in limited quantities to serve alongside the FN FNC. FN SCAR-L STD 5.56×45mm Belgium 4500 SCAR-L in use as the new standard service rifle. FN SCAR-L CQC 5.56×45mm Belgium Standard service rifle of the Belgian special forces group. FN SCAR-H CQC 7.62×51mm Belgium 63 SCAR-H CQC ordered for special forces combat divers. Accuracy International Arctic Warfare 7.62×51mm United Kingdom Will be replaced by a combination of SCAR-H PR, AXMC and M107A1. FN Minimi 5.56 Mk3 Tactical SB 5.56×45mm Belgium Standard issue LMG. Currently being updated to 'Mk3 Tactical SB' standards. Featuring a shorter barrel, Adjustable buttstock with shoulder rest, Ergonomic railed handguard, new bipod assembly and cocking handle. FN Minimi 7.62 Mk3 7.62×51mm Belgium The Belgian government signed a 2 million euro contract to replace all MAG's with 242 Minimi's chambered in 7.62×51mm. FN MAG 7.62×51mm Belgium Standard general-purpose machine gun. To be replaced with 242 7.62×51mm chambered Minimi's. GL-1 40×46mm Belgium Used by regular infantry and paratroopers mounted under FN F2000 rifles on a squad based level. FN40GL 40×46mm Belgium Used by special forces mounted under FN SCAR rifles. 507 on order to replace the F2000 on a squad based level. Heckler & Koch GMG 40×53mm Germany Mounted on the army's new Jankel FOX Rapid Reaction Vehicles. MILAN 115 mm France Will be replaced by Spike ATGM in the near future. Spike-MR 152 mm Israel 66 new anti-tank missile systems are currently being delivered to replace the army's older MILAN ATGM. M72 LAW 66 mm United States Will be replaced by RGW 90 as the short range anti-tank weapon on a squad based level. RGW 90 HH 90 mm Germany 111 short range anti-tank weapons are to be purchased in the near future. M19 Mortar 60 mm United States About 60 used by the ParaCommando regiment for light fire support. The Belgian Army is currently undergoing a major re-equipment programme for most of its vehicles. The aim is to phase out all tracked vehicles in favour of wheeled vehicles. As of 2010, the tank units were to be disbanded or amalgamated with the Armored Infantry (two infantry companies and one tank squadron per battalion). 40 Leopard 1 tanks were still waiting to be sold; the rest were transferred to Lebanon. As of 2013, only some M113 variants (Radar, recovery, command posts and driving school vehicles) and Leopard variants (Recovery, AVLB, Pionier, driving tanks) will remain in service. The Leopard 1A5 tank was retired on 10 September 2014. 56 of the tanks will be sold, about 24 will stay as historic monuments or serve as a museum pieces; the rest will be phased out or used for target practice. Piranha IIIC Switzerland Armoured fighting vehicle 268 Will be replaced by VBMR Griffon from 2025. Pandur I Austria Armoured personnel carrier 59 Will be replaced by EBRC Jaguar from 2025. ATF Dingo 2 MPPV Germany Infantry mobility vehicle 218 Will be replaced by VBMR Griffon from 2025. Jankel FOX United Kingdom Light Rapid Response Vehicle - SOF 108 The FOX is based on the Toyota Land Cruiser, for use by the Specials Forces, includes a removable armour kit to increase ballistic and mine protection. The vehicles will be fitted with a 360° ring mount which can be armed with a 12.7mm machine gun or an automatic grenade launcher. An M75 APC at the Brussels army museum. In the strategical defense vision report of the Belgian government it was stated that by 2030 the Belgian land component will invest in new modern equipment such as weapons, vehicles, communication assets, body armor and more. ^ "de SELLIERS de MORANVILLE". www.ars-moriendi.be. Archived from the original on 2016-03-09. Retrieved 2016-12-30. ^ Entre rEssEntimEnt et ré-éducation: L’Armée belge d’Occupation et les Allemands, 1945-1952 Archived 2013-10-14 at the Wayback Machine, accessed August 2014. ^ "Cold War Battle Orders Make Way for a New NATO Era", Jane's Defence Weekly, June 8, 1991, p. 961. ^ "Belgian Defence Remington 870 fact sheet". Archived from the original on 12 April 2015. Retrieved 14 January 2015. ^ a b c d "Belgian Defense Information". European Defense Information. Armed Forces.co.uk. Archived from the original on 19 February 2015. Retrieved 22 April 2014. ^ "Leopard lost zijn laatste schot". 11 September 2014. Archived from the original on 12 July 2015. Retrieved 12 September 2014. ^ "België verkoopt 56 Leopardtanks". Archived from the original on 2014-09-04. Retrieved 2014-09-04. ^ a b c "Voertuigen". Archived from the original on 2016-06-28. Retrieved 2016-07-11. ^ a b c "Belgium to Buy French Scorpion AFVs for €1.1bn". Defense Alert. Archived from the original on 19 August 2017. Retrieved 26 June 2017. ^ "Akkoord over het strategisch plan voor Defensie 2030". 22 December 2015. Archived from the original on 18 August 2016. Retrieved 11 July 2016. Wikimedia Commons has media related to Army of Belgium.